Education Minister, Hon. Rev. 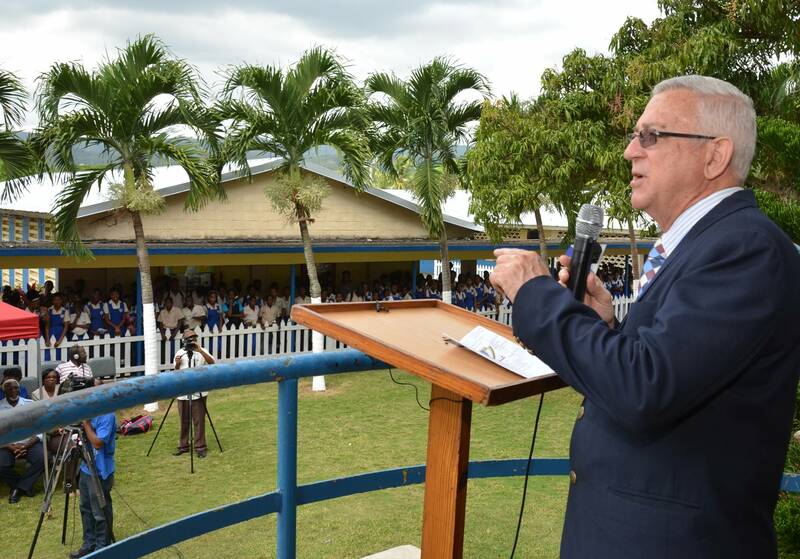 Ronald Thwaites, addressing students and teachers of Porus High School in Manchester, on May 2. Rev. Thwaites, along with other Ministry officials, visited the institution to offer comfort and support to members of the bereaved school community, who are mourning the untimely death of 16-year old, Grade 10 student, Jevaughn Thomas. Rev. 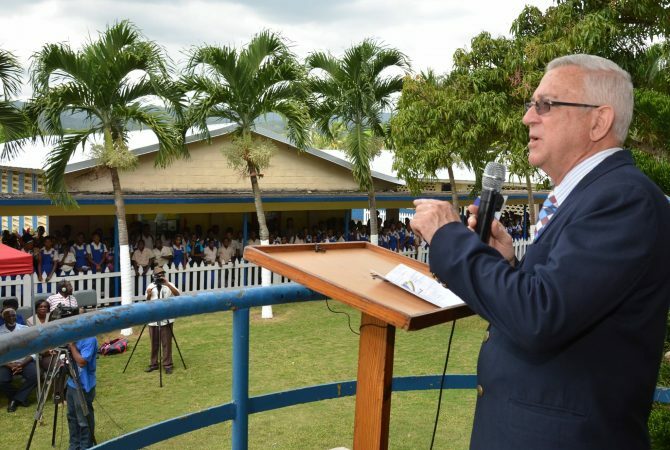 Thwaites led a team from the Ministry to offer comfort to students and teachers at Porus High School, following the death of 2 young boys (students) and their mother at their home in Ramble, Manchester. Rev. Thwaites said while parents, and adults in general, must play their part in safeguarding the children, the youngsters must be mindful of the choices they make, so as not to regret these later in their lives. The Minister argues that children are best nurtured in an environment where they are provided with the love, care, and protection of their parents, ideally, both the mother and father. 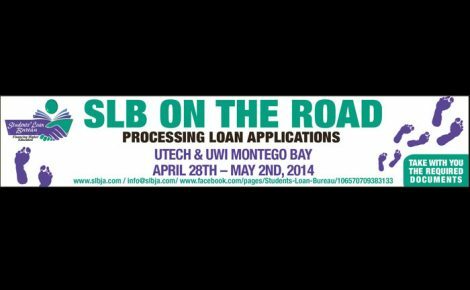 He made these remarks on May 2, while addressing bereaved students and teachers at Porus High School in Manchester, who are mourning the untimely death of 16-year old, Jevaughn Thomas, who was a 10th grade student at the institution. Jevaughn, along with his mother, Nadine Carridice, and younger brother, 11-year old Roshane Ellis, succumbed to injuries sustained after they were attacked by an assailant at their home in Ramble, Manchester, on April 29. Rev. Thwaites led a team from the Ministry who visited the school to offer comfort and support to the students and teachers. In pointing out that the Ministry is “shocked” by the incident, Rev. 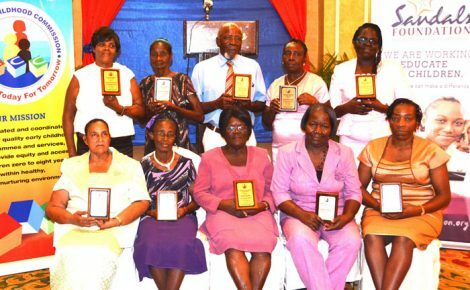 Thwaites lamented that some of the nation’s children do not benefit from the support, particularly from adults, which necessary to advance their growth and development. This situation, he contends, often results in them turning to persons, such as their peers, who they deem capable of doing so. 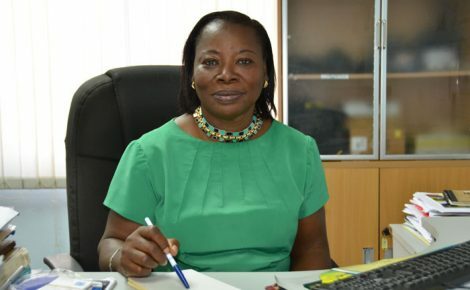 The Minister said this, invariably, results in unfortunate consequences arising which stakeholders, such as the teachers and guidance counselors at the schools they attend, are forced to intervene and rectify. In light of this, Rev. Thwaites said while parents, and adults in general, must play their part in safeguarding the children, the youngsters must be mindful of the choices they make, so as not to regret these later in their lives.